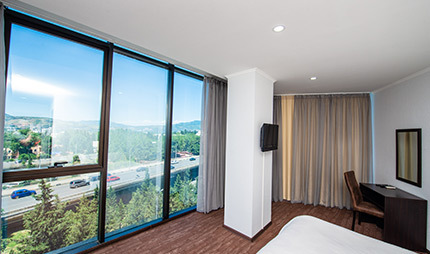 Hotel «Shine Palace» is 3 star hotel located in the west part of Tbilisi, near the Embassy of the United States, 25 minutes away by car from the airport. There are seven floors and 36 comfortable rooms. All rooms are equipped with modern standards, such are: TV, telephone, free WI-FI internet, air conditioning, mini-bar, bathroom. 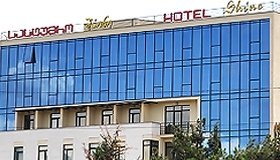 Hotel has conference hall for 150 people, which is equipped with modern equipment. Bar-restaurant is situated on the second floor and offers you delicious Georgian and international cuisine. Hotel summery terrace and lounge bar are ideal place for relax, where you can taste the most delicious European dishes, with various cocktails made by professional barman. 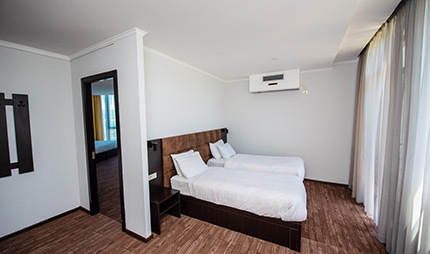 Hotel «Shine» is the best place for resting and spending an unforgettable time with your friends. High quality service, always friendly personnel, calmness and low prices are main conditions for resting.